By Popular Demand…La Collection Elephants now in Washington, DC! Congratulations to the Divas of Delta Sigma Theta Sorority, Inc. on 100 years of Service, Sisterhood and Scholarship! 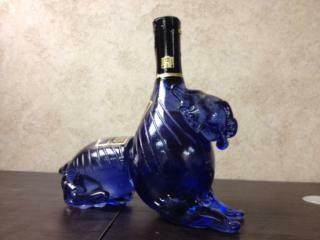 Due to popular demand, the exqusite Pommegranate Wine and Vodka Elephants are now sold in the DMV area. Tick Tock Wine & Spirits located at 1820 University Blvd East (PG County) in Langley Park, MD now have them on shelves. Morris Miller Wine & Spirits, located at 7804 Alaska Avenue NW Washington, DC 20012, will have them in stock beginning February 1. Go Divas! 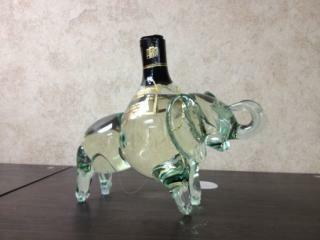 Another Reason to Gift Exquisitely…Hand blown, Hand made glass Elephant with Vodka. Elegantly made. 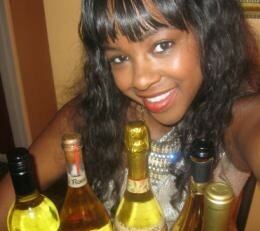 Sip Exquisitely! Distributed by Athens Distributing in TN. Find at R&R Liquors in Nashville, Kirby Wine &Spirits and Stellar Spirits in Memphis. 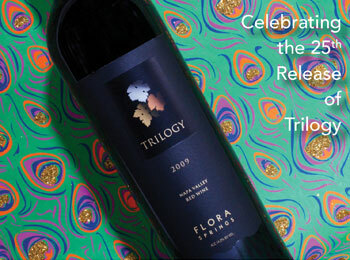 Email sdiltz@staceywines.com for more locations in the United States. A Toast to the TIGERS! As you shop this Holiday Season, consider unique items such as this hand-made, glass-blown elephant. 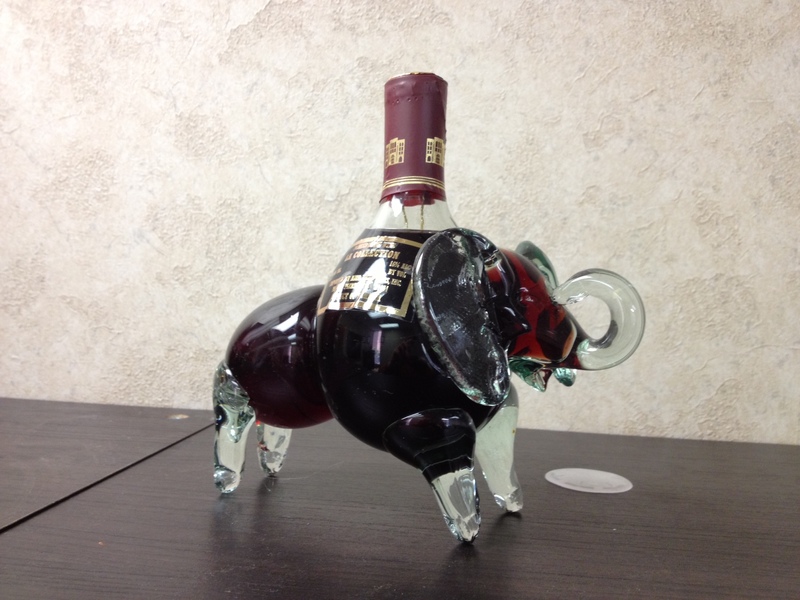 La Collection Elephant comes in red or clear glass and vodka or pomegranate wine. Perfect for sports fans (Roll Tide!) and Elephant lovers world wide. Exquisite Indeed! Summertime in the South is a lovely and picturesque sight, but the Heat index can turn your S ummer Oasis into a melting pot. Cool down with these refreshing, crisp and interesting wines and escape to an easy breezy oasis within. Sweet Sunset Golden Peach- This wine is for the Sweet tooth wine lover. This mouth filling, slightly creamy, burst of frozen peach wine is as fun as it is deliciously dreamy. Savida White Sangria- California Sauvignon Blanc blended with all natural juice of tangerine, peach, lemon and lime. No added sugar and all natural. CHOYA Ume Blanc- Made from the Japanese Super Fruit, Ume, this delicate and enchanting white wine is not only rich to the taste buds, but also healthy by providing antioxidants, energy and potassium. Oh Rome Moscato d Asti-With so many imitation Moscato’s in abundance across the country, it’s nice to have a real Italian Moscato with high quality. Sip a nice chilled glass of Italian Oh Rome Moscato and relish hints of honeysuckle, pear and white peach. Heavyweight Chardonnay- A Chardonnay is just a Chardonnay, right? Not really. Heavyweight Chardonnay is crisp, with hints of green apple, pear and honey. Light, lively, lovable. A Toast to JayZ and Beyonce’s new Baby Girl! The baby that the world seems to have been buzzing about since Beyonce revealed her “Baby Bump” at last year’s VMA’s has arrived. Media sources say the baby girl of Beyonce and JayZ’s name is Blue Ivy. It was also reported that the Carter’s rented out the entire fourth floor of Lenox Hill hospital for $1.3 million dollars. Close friends and family ordered takeout food and bottles of Red Wine delivered while waiting for this baby, who was royalty even as a fetus, to arrive. Yesterday, GOP Presidential bid seeker Rick Perry spoke to 150 supporters at the Santa Maria Vineyard & Winery in Carroll, Iowa. The Chicago Tribune called it “Quirky” in its article, “Iowa’s quirky caucuses open 2012 White House race” http://www.chicagotribune.com/news/politics/sns-rt-us-usa-campaign-caucusestre8020ix-20120103,0,317185.story But in my opinion, this move shows exhibits Perry and his team as progressive trend-setters and insightful as Wine in the US is becoming an extremely serious matter. In June of 2011, the Wine Institute and LA Times reported that after a two-year slump, domestic wine retail sales in 2010 increased 7% from the prior year; U.S. wine exports jumped 26%. And for the first time, the U.S. consumed more wine than France. 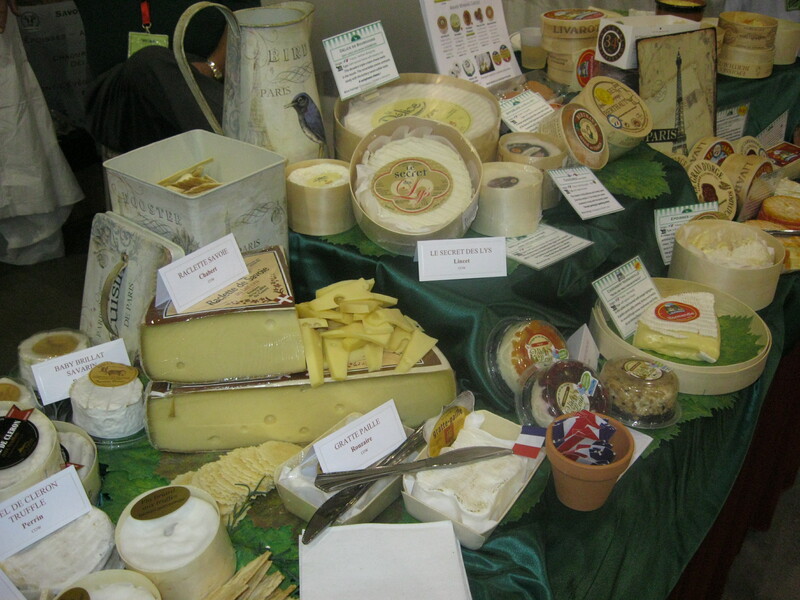 More wine thanFrance?! Yes! It’s shocking I know, but true. When I think about it more, it’s not so surprising being that Americans are supreme in self-gratification, indulgence, and greed. We want what we want… period. And in the spirit of Season 1 of Atlanta Housewives where Sheree Whitfield exclaimed, “Who gone check me Boo? !” no one dare come between Americans and our occasional, relaxing and divine glass of wine. This Holiday Season, I’d like to introduce you to something new, unique and elegant. Snow Beauty Sake is exquisite Japanese nigori sake that is gaining popularity in the US amongst the cultured, sake savvy, and sophisticated sake lovers. Nigori means “cloudy” in Japanese. It is unfiltered which means the rice sediment remains, hence the white color. It is Excellent as an aperitif and also a wonderful accompaniment with fine beef dishes such as Kobe beef, wagyu steak, shabu shabu, and sukiyaki. Snow Beauty Sake is also excellent with mildly hot and spicy cuisine such as stir-fry dishes flavored with Asian chili sauce, Bulgogi Korean barbecue, kimchi jigae (kimchi flavored stew), and Thai and Indian curries. Serve Chilled and Sip Exquisitely. flavorful. 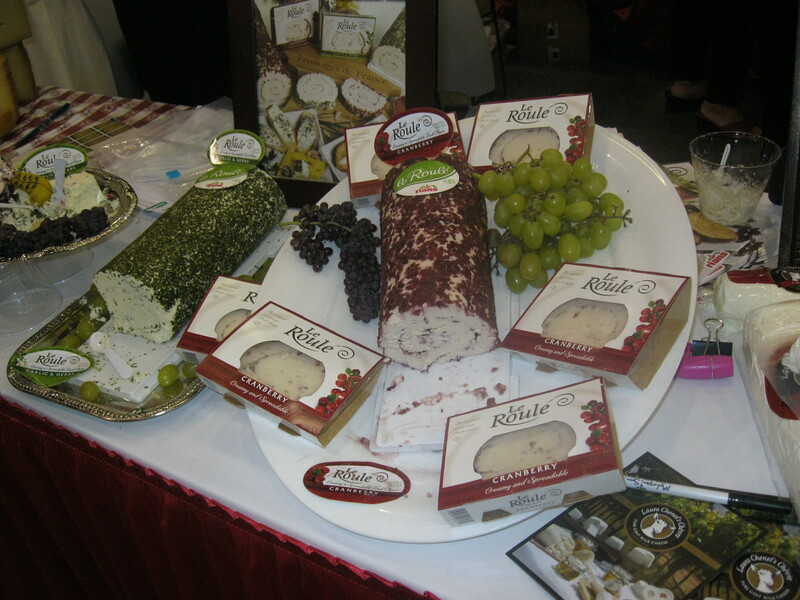 Lastly, the Le Roule Garlic & Herb cheese is simply delightful. peach and acidity profile of Frost Bitten Ice Riesling. Truly a winning match! So, you say you don’t like Sake. Well, you THINK you don’t like Sake. As in all things, it takes that one special item to make you forget everything you thought you knew. Choya Junmai Ume Sake is indeed that Sake. Imported from Japan and flavored with Ume from Kishu, this delicate, fruity, and medium-bodied sake has a lingering apricot finish. It is simply delightful. The fruity ingredient, Umeshu, is a popular plum-like fruit cherished in Japan as a healing fruit. Ume‘s delicious tang comes from citric acid. This refreshing flavor induces the appetite. Umeshu also contains malic and succinic acids. Try it tonight with seafood or sushi. My preference is pairing it with Makizushi or sushi rolls and a variety of salmon, tuna and yellowfish Sashimi. Choya Junmai Ume Sake comes in 300ml or 750ml sizes. Available in retailers worldwide. Email me for retailer locations in Alabama, Georgia and Tennessee. Enjoy and continue to Sip Exquisitely.